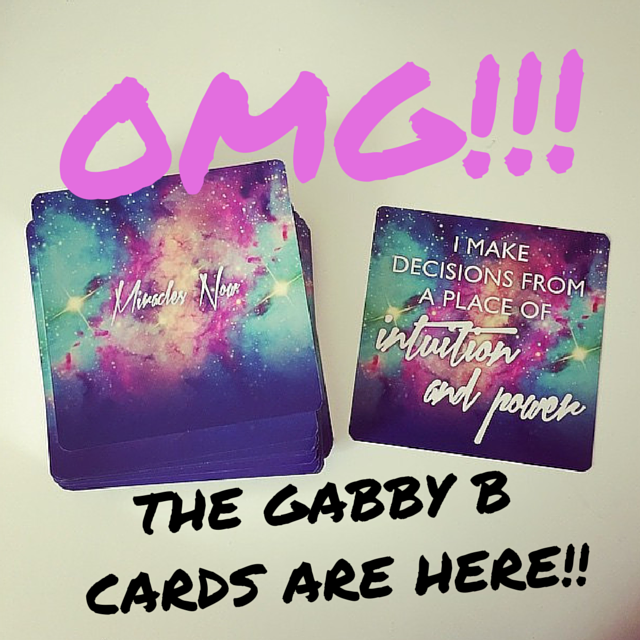 Gabrielle Bernstein's Miracles Now Card Deck Review! OMG! Ok, so these are the Miracles Now cards By Gabrielle Bernstein, and published by Hay House. This is a deck based on some of the teaching found in Gabby B's book Miracles Now, an awesome book full of 108 tools for your spiritual and life journey. But this deck is so much more than just quotes from the book and can totally be used on their own too! 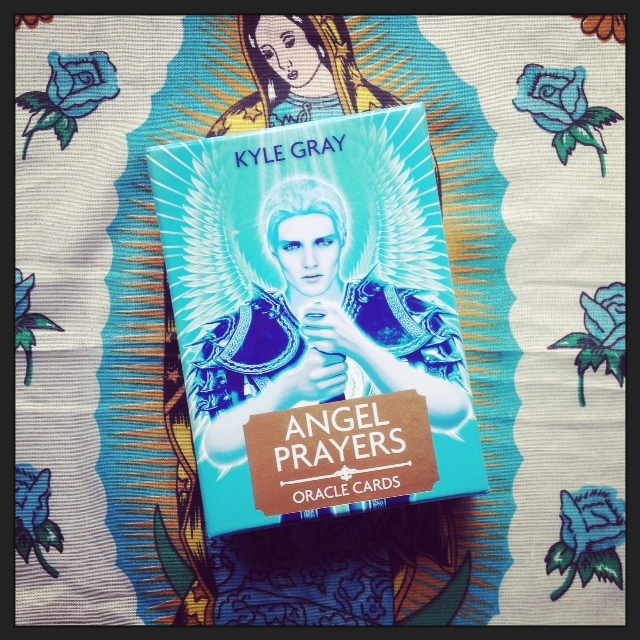 This is not an angel or tarot deck, this is an affirmation deck. WTF is an affirmation? Sure, it's basically a phrase you say to yourself to help you manifeststuff - not only things in your outside world, but also to help you to become who you really want to be. For example you may say to yourself every day when you wake up - I am awesome. Even if you don't feel that awesome at first, after doing this for a few days you will find you start to believe it a little bit, then a lot, and then before you know it you are feeling so freaking awesome it's RIDIC! There are 62 cards in this deck and you can basically use them however the heck you want! They are a beautiful galaxy of 80's colours and seriously, when you ask the Universe for a card and then you pull one, it's like the Universe is talking to you. I'm not even joking. <3 Choosing a card that resonates and leaving it by my bed or on my desk as a reminder and a way to infuse the energy of the affirmation into my life! <3 Add these to a Tarot or Angel card reading! <3 Use these at meetings, groups, workshops, classes etc.! Oh so many ways you can immerse yourself in the Universe's wisdom! Comment below if you have any other cool ideas how to get the most out of these cards! I'd also love to hear about your favourite affirmations in the deck so be sure to find me on Facebook and Instagram for sharing the love! Oh and check out the video below to really see these guys in action!